In 1864 Sherman suckered John Bell Hood out from a great defensive position and commenced with destroying his army, right where you are presently standing. (If you’re in Midtown Atlanta.) 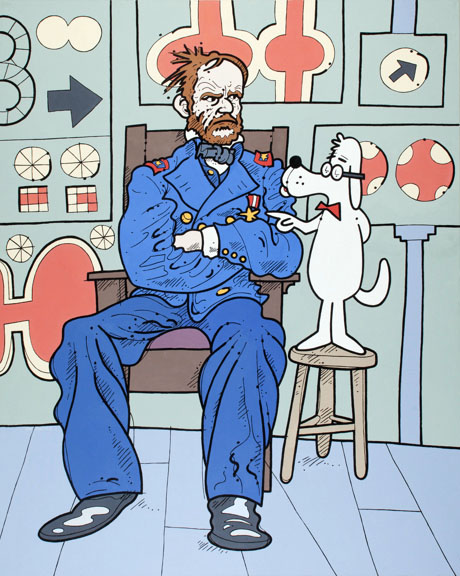 Pictured here is a tense meeting between the seldom-patient Sherman and the ever-patient Mr. Peabody, by his Way-back (time) Machine. Choose your myths wisely.